The ending of Civil War II promises to leave the Marvel Universe changed in more ways than one. After major character deaths opening the series, writer Brian Michael Bendis confirms that the perennially popular Iron Man will be getting a new identity. Only this time, she won’t be a man. Newcomer Riri Williams has been confirmed to be taking over Tony Stark’s mantle. Williams is a fifteen year-old girl genius who is already a student at MIT. Stark becomes aware of her reverse-engineering his old armours in her dormitory and presumably starts grooming her to be his successor. Bendis tells Time that Williams is supposed to represent a “modern version of a superhero or superheroine story,” based on seeing children overcome rough upbringings in order to attend to college and kickstart their careers. Whether or not you’re a fan, Marvel has begun to have a pretty solid track record with making significant changes to their roster in recent years. 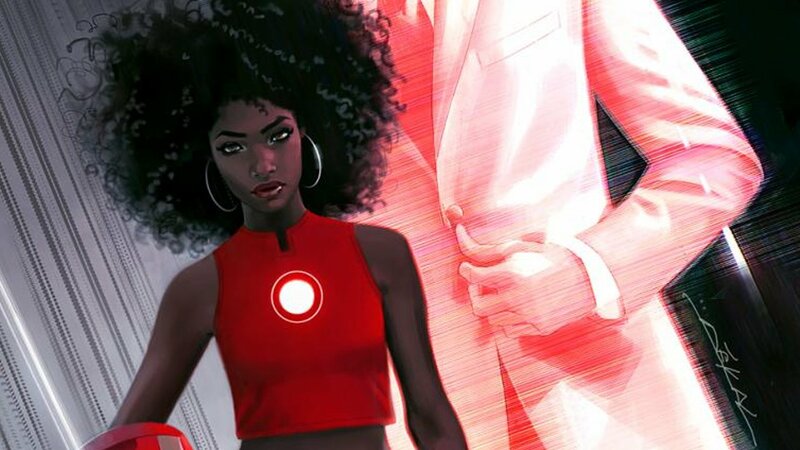 Even if she isn’t permanently known as “Iron Man,” Riri Williams will likely become a key player in the Marvel Universe in coming months. It’s a bold move on both Bendis and the company’s part, and it will undoubtedly be interesting to see where it goes.